UT Health San Antonio's board-certified and fellowship-trained pulmonologists use minimally invasive interventions to help patients control their lung conditions and breathe easier. UT Health San Antonio's interventional pulmonology practice is one of the most comprehensive programs in the region. 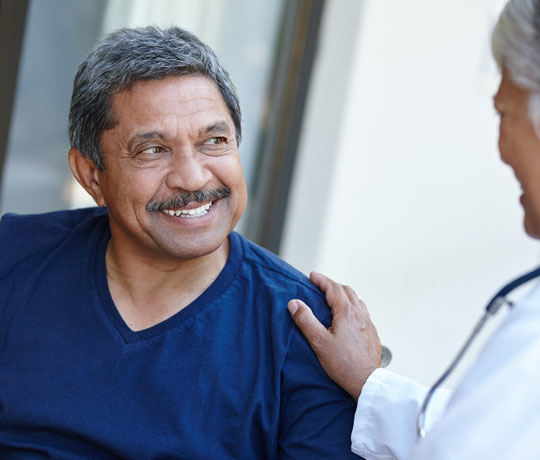 Our pulmonologists continue to advance the field of interventional pulmonology and provide our patients with modern, effective, minimally invasive options for diagnosing and treating their lung disease. Our lung specialists offer solutions to clear airway obstructions, remove fluid (pleural effusion), take biopsies, place stents and catheters, and perform laser therapies to improve lung function. Patient comfort is always a priority and most procedures are performed using local anesthesia or intravenous anesthesia. Our patients’ benefit from our in-depth and collaborative approach for diagnosing and managing their airway or lung disorder. Through open and consistent communication with our patients, their physicians and other specialists, including cardiologists and cardiothoracic surgeons, we are able to deliver a treatment plan that is tailored to effectively treat our patient’s specific lung conditions. Successful interventional pulmonology treatment is dependent upon the experience and skill of our expert pulmonologists. We have access to the most advanced technology, modern therapies and reliable research to help our patients maintain and improve their quality of life. Call 210-450-9800 to make an appointment.